Autumn Colors -What could be prettier than a walk alongside fast rushing Clear Creek lined for miles with blazing yellow, orange and burnt red cottonwoods and maples? 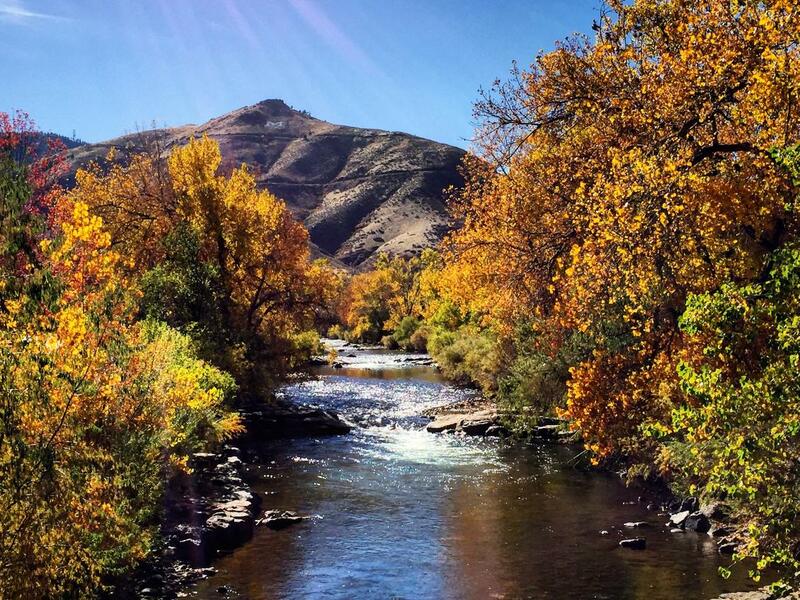 Enjoy the crisp air in Golden and take in the fall colors. Or visit nearby Golden Gate Canyon to view beautiful fall colors while hiking near alpine lakes. 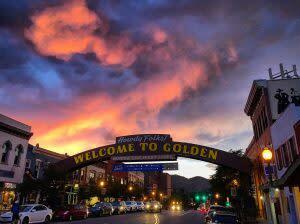 Downtown is Delightful - Golden&apos;s Main Street is Washington Avenue, home to the famous Welcome Arch that says, "Howdy Folks, Welcome to Golden!" And while Golden welcomes visitors year round, a visit in the fall features cooler weather, perfect for shopping in the charming and locally owned stores that line Washington Avenue. Fall Sunsets on Washington Avenue or from North Table Mountain –Before we turn back the clock, you can still get to Golden in time for a pleasant weeknight stroll through downtown, dinner at a delicious local spot and a sunset on Washington Avenue. Or – head for the nearby hills for a post-work hike and sunset, followed by a craft beer in town. Bikes & Brews – Through October, you can check out a bike at the Golden Bike Library and pedal around town to the local breweries for samples of their autumn seasonal beers. The Bike Library will even give you a handout that will direct you to all six local breweries. 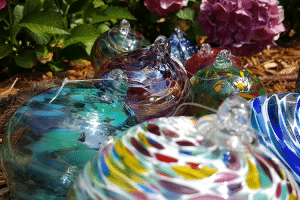 Treasure Hunt for a Glass Orb - Each day in October, a beautiful one-of-a-kind glass orb will be placed somewhere in plain sight in Golden city limits. “finders” are “keepers” of these treasures, handcrafted by a Colorado artisan. Each orb is marked with a special tag and instructions of how treasure finders can register their orb at the Foothills Art Center, where they will receive a certificate of authenticity and be entered in a drawing for more Golden prizes. 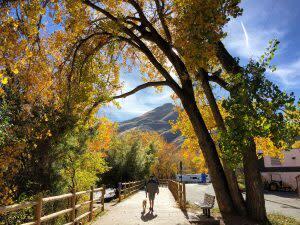 Fall Hikes - October is a lovely time to hike in Golden. The city offers terrain and trails for all ages and abilities. One of our favorites is Lichen Peak on North Table Mountain where you can catch views of downtown Denver as well as the snow capped mountain peaks. Take on Lookout Mountain – With cooler temps, many cyclists favor an autumn ride up Lookout Mountain. Or make the drive up Lookout to get an outstanding view of the fall colors in the Clear Creek Valley. So what are you waiting for? Fall in love with Golden during the fall season!